Why more of your customers are conforming to a new global procurement standard. Sellers are witnessing the emergence of a new class of buyer – what we call the Universal Super Buyer. It has profound implications for how you sell. This new class of buyer is ‘universal’ because its approach to procurement rises above industry and nationality and ‘super’ because of its new power and sophistication. It is a typology to which your buyers are likely to conform. A New global standard for buying is fast reflecting itself in how all our customers and prospects buy – regardless of nationality, or industry. The result is a new typology of the modern professional buyer – one that is super national even global in character. Corporate buyers everywhere are increasingly alike – exhibiting the same behaviours, strategies and motives. It explains why buyers in Germany and Japan increasingly resemble their counter parts in the UK or USA. The globalization of markets has resulted in the emergence of a class of professional buyer who rises above national idiosyncrasies of business and culture to embrace the latest trans-national procurement strategies and trends. Globalization is resulting in the homogenization of buyers and buying. The result is that corporate buyers regardless of their nationality, language or culture are increasingly alike. 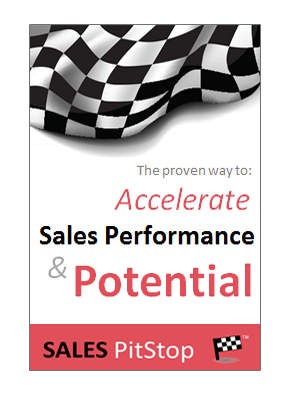 In particular they are exhibiting the same strategies, behaviours and motives that will affect sales success. We asked almost 200 sales people, selling to approximately 40 country markets across a wide array of industries and verticals, about the characteristics of their customers and prospects. In particular how their customers had changed. The result was a striking similarity among buyers regardless of geography. Buyers have changed – it is universal. The sellers identified characteristics that define the modern professional buyer irrespective of nationality and industry. A. WHO is doing the buying, otherwise referred to as The Buying Team. B. HOW the buying decision is made, otherwise referred to as The Buying Process. C. WHY the buying decision is made, otherwise referred to as The Buying Logic, or Rationale. How do you know if your buyers are reflective of the new Global Super Buyer? Compare your key customers and prospects against the list below. 1. Smarter and more sophisticated – buyers are more skilled and experienced in their jobs. 2. More commercial – they are more numbers obsessed and drive ‘a harder bargain’. 3. More demanding – they have higher expectations and are more demanding of their suppliers. 4. More aggressive – they are pushing for better terms in respect of price & deliverables. 5. More under pressure – they are busy people, rushing from meeting to meeting, with key targets and deadlines to meet. 6. More centralized decision making – with buying power being vested in procurement and the head office. 7. More cross-functional – buying decisions are increasingly being made by managers in cross-functional teams, this brings deep expertise and multiple perspectives to bear on the decision, but it lengthens the buying decision and heightens issues of politics. 8. More strategic – buyers are most important and more powerful in their organizations. In addition they are adopting a 3-5 year outlook and seeking a more integrated or coordinated approach to decisions. 9. Buyers are more process driven there are rules regulations and procedures to be followed – rules that are increasingly being set out at head office. 7. 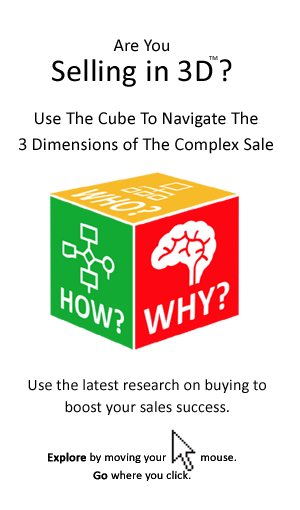 More choices/options – the array of choices available to buyers can result in buyers being more open to new ideas, but it also poses the risk of confusion and search for the end to end or one stop shop solution. 8. Increased professionalization – procurement yields more power than ever before, with its influence felt at the board table, it controls a growing proportion of total spend. 9. Concentration of suppliers – they are looking to work with fewer better suppliers, in order to drive economies and cut procurement administration costs. 10. More global – buying organizations are spread across multiple locations, with global supply chains that stretch to include low cost economies. 11. More networking – buyers are sharing their experiences and their contacts within their organizations. 12. More responsive to their markets – they are more in tune with what is happening in the marketplace and must be ready to meet unexpected market fluctuations. 13. More political – buyers need the collaboration of their colleagues across a wide array of other departments. 14. More risk and uncertainty – they are increasingly sensitive to risk and are focused on risk management across the supply chain at all levels. 15. More results focused – they are targeted with achieving savings or other targets within their businesses. 16. More personally motivated – while buyers are naturally expected to be logical and rational they are all driven by personal and professional objectives, such as career progression, or organizational status. 17. Greater burden in respect of compliance – both with internal and external regulations, or standards. Your Customers – Global Super Buyers? Having reviewed the above characteristics of the modern global buyer how closely do your customers and prospects resemble The New Global Super Buyer? If your customers fit the profile, then the next question is the extent to which your sales approach has adapted as a result. If your customers don’t fit the profile it may be an opportunity to adopt a best practice approach to buying your products and services. A continued rise in the general level of buyer sophistication would seem inevitable. So, even if your customers are ‘not quite there yet’ in terms of conforming to global procurement standards it makes sense to prepare for the future. 1. Business are increasingly operating in a global market place, with a presence in many markets and sourcing their raw materials, products and components through increasingly global supplier networks/supply chains. Centralization of procurement within multinational organizations. Standardization of buying processes across large organizations and a drive for increased compliance within the same. International buying teams structured on a cross functional basis. Concentration of suppliers as organizations look to leverage economies of scale and cut procurement costs. 2. Businesses in most countries face the same challenges of slowing demand, increased pressure to cut and increased market uncertainty. It is not surprising then that the strategies being employed are similar across markets. 3. Best practice in procurement is increasingly accessible to all companies globally. The leadership is provided by companies that are familiar to all. Take for example the leaders in procurement and supply chain excellence – companies such as Apple, Dell, HP, Amazon and others – they are truly global. These trends are driving the dissemination of best practice procurement. They are leading to a new universal approach to buying – to the emergence of the New Global Super Buyer.